Discuss how to use the Ren'Py engine to create visual novels and story-based games. New releases are announced in this section. This is the right place for Ren'Py help. Please ask one question per thread, use a descriptive subject like 'NotFound error in option.rpy' , and include all the relevant information - especially any relevant code and traceback messages. Use the code tag to format scripts. I'm happy to announce the release of Ren'Py 7, the result of over a decade of development since Ren'Py 6 was released. Compared to that release, Ren'Py 7 adds many features uses have long since come to consider core parts of the engine, such as ATL, Screen Language, OpenGL acceleration, support for the Android and iOS platforms, Translations, Accessibility, and so much more. Thanks to everyone who created with Ren'Py during the Ren'Py 6 series, when Ren'Py and visual novels went from a tiny niche to something that is popular and culturally relevant. I look forward to seeing where Ren'Py 7 takes us. Compared to Ren'Py 6.99.14.3, this release adds a new layered image system, which provides a cleaner replacement for the use of LiveComposite and ConditionSwitch when it comes to building sprites from layered images created in paint programs. There is a new syntax for such images, and portions can be defined automatically. Layered images also interact better with other portions of Ren'Py, such as the image predictor and interactive director. The ability to apply transitions to specific layers, making it possible to dissolve in a sprite while text is being shown. A second row of ruby or interlinear text can now be shown. A way of converting strings into custom displayables. A French translation of the launcher and The Question. An editing pass over the reference manual. Apart from these, this release includes a few fixes and minor new features. As always, check the changelog for complete details. Please also check out the credits and sponsor list. Freelance marketer- DM if interested! Well done PyTom and everyone else involved! Layered images are going to make our lives, and spriting, so much easier. Thank you, and congrats, to Tom and everyone on the team! Been experimenting so far with improving on my "Portrait System" to make use of these new layered sprites. I feel like I might be missing something though, but is there a way to default to the default of a group if the current attribute doesn't exist? e.g. I have a "neutral_base" and "neutral_eyes", but also a "concern_eyes". But the concerned expression shares the neutral base. Instead when I show hawke concern I get no base layer loading at all. Just the eyes. Last edited by Tayruu on Sun Jun 03, 2018 4:43 am, edited 1 time in total. Huge congratulations! Thanks to for all of the hard work over the years!! Craving for a slightly historical mystery VN with an unusual presentation? Some amount of psychological or folk horror? A bit of weirdness? I got you covered. So awaited release! Such great news! Thanks for all! c raised wide unhappyopen2 "...Ah! Oh dear, I've run out of firewood." game/script.rpy:466 Could not find image (cassidy raised wide unhappyopen2) corresponding to attributes on say statement. It works so I'm not super concerned, but it's weird that lint doesn't seem to find the layered images properly. I'm not around LSF very much these days; please contact me via Skype/Twitter. Ask me things! edit: had to take out some personal details. my bad, i'm an idiot. always looking for a project to join as a writer! please pm me if you'd like to collaborate with me! 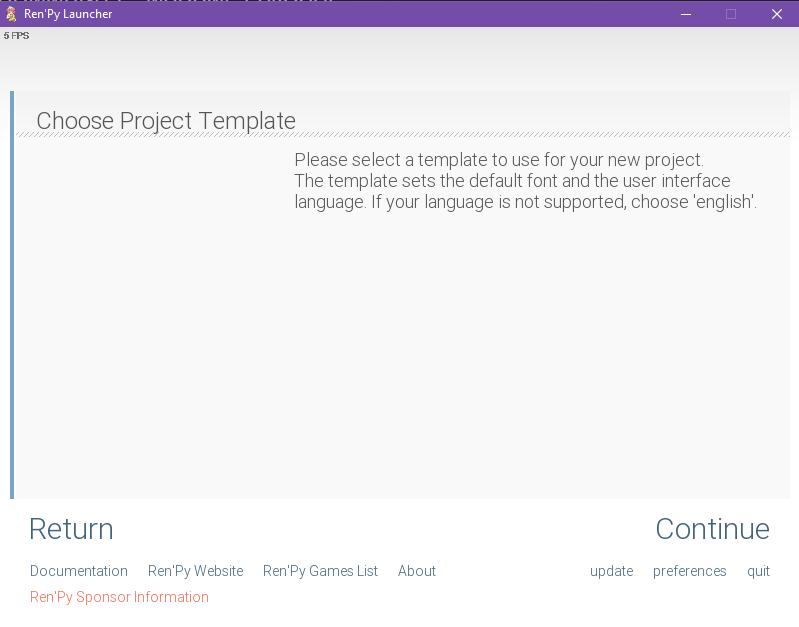 The old tutorial and old templates are no longer included with Ren'Py. They can still be used with new version of Ren'Py if copied into this or later versions. The Solution: Just copy 'templates' folder from older version. There is a light at the end of the tunnel, just pray it's not a train. Time to migrate everything to 7.0. Good bye 6, it's been years.